Whisker Graphics: What an Honor!! Miss B over at leblahg.com invited me to do an "On the Download" on her blog today. "On the Download" is a weekly (on Fridays) free download of an creator's artwork. I've put together an assortment of gift tags just for the download. I was so honored by her invite. I adore her blog! It's beautiful, informative and so fun to read! So scamper on over and get yourself some free gift tags! 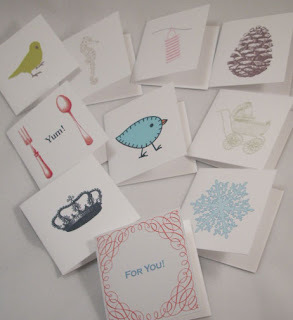 And of course, check out all the great things on her blog (not to mention her beautiful paper goods in her etsy shop)!